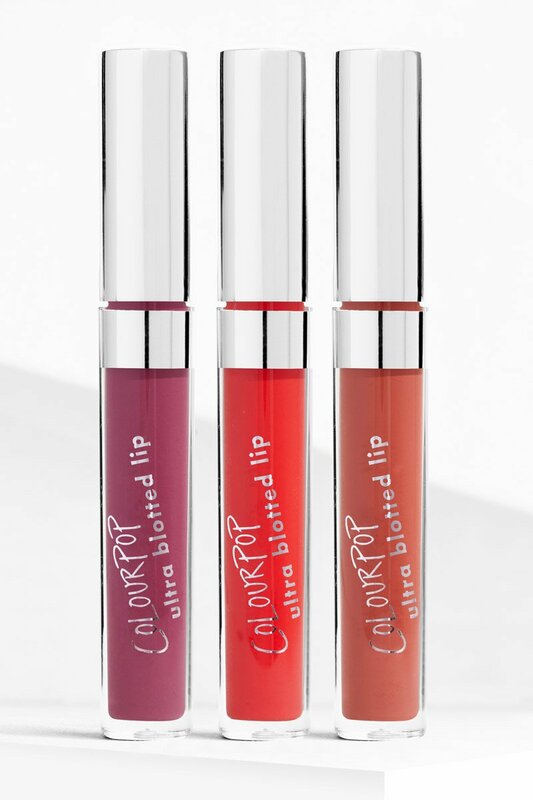 So the title is a little… clickbait-y, but I’m almost positive that ColourPop reads my blog! In my 1st ColourPop post (here) I mentioned how I was disappointed by a certain Super Shock Highlight being too dark on my medium skintone, after swatching it. Shortly after, ColourPop came out with 3 Curated Sets (with 3 Super Shock Highlighter in each set), targeting a specific skin-tone each; Waffle (fair skintone) and Cannoli (medium skintones) and Shortcake (darker skintones). In my 2nd ColourPop haulage post (here) I suggested that ColourPop should come out with a Collection called Reds and Berries. When they came out with a bunch of Stocking Stuffers (mini kits) for their Holiday 2017 Collection, one of the Eyeshadow Trios and Liquid Lip Trios was actually called Nuts and Berries! It’s not exactly the same, but it’s close enough. In my 3rd ColourPop post (here) I made a comment about how I wished there were specific brushes that I could use with their Super Shock Shadows. 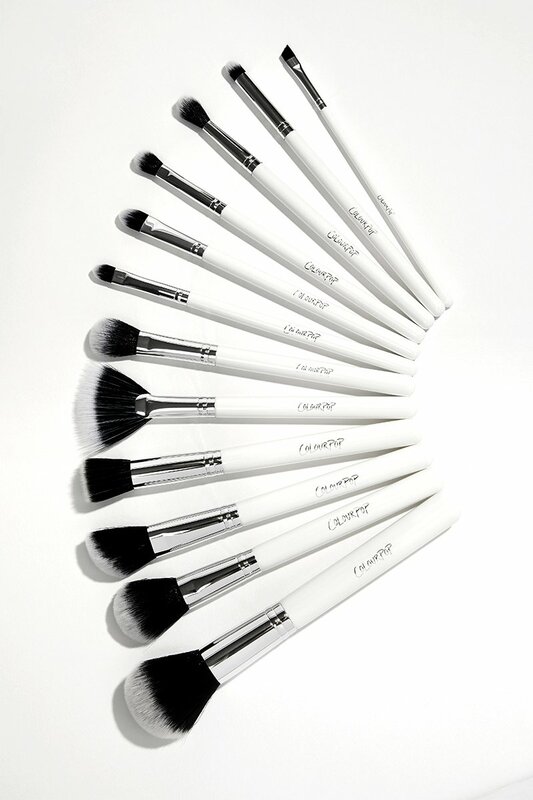 Shortly after, ColourPop came out with an entire 12pc Makeup Brush Set! They’ve added several new Makeup Brushes to the original 12 since then. Also in my 3rd ColourPop post (here), I mentioned how baffling to me, all the positive reviews were for the Super Shock Highlighters, because these things sorta’ enhanced any texture issues on the skin and were highly problematic in general. 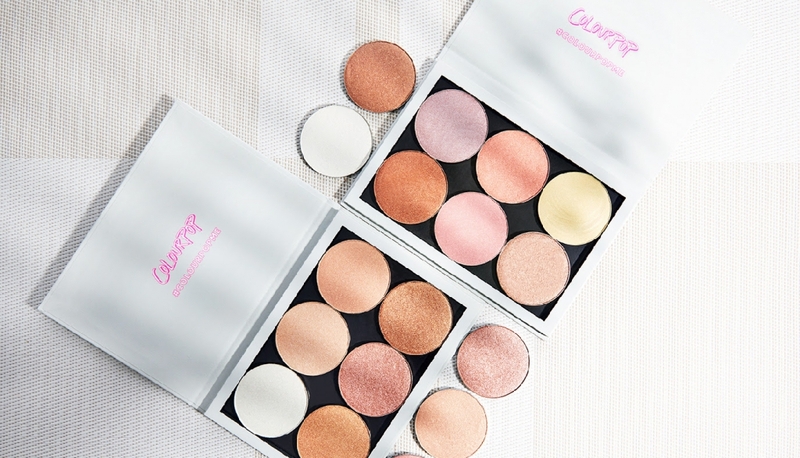 Shortly after, ColourPop came out with a whole slew of Pressed Powder Products (including Powder Highlighters and Powder Blush and Powder Bronzers) that were supposedly much less problematic. 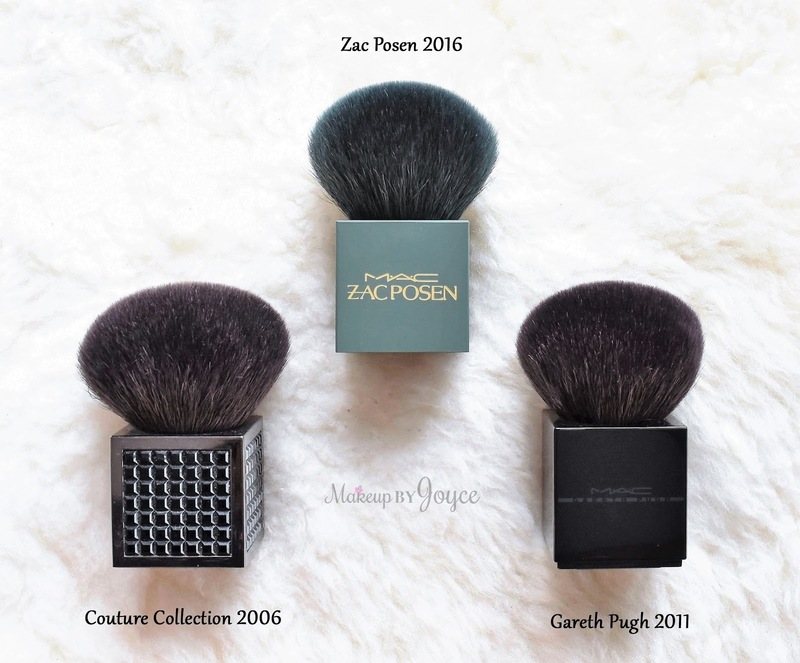 They’ve been regularly churning out Pressed Powder Palettes (sometimes a Highlighter Palette, sometimes a Highlighter/Bronzer Duo, other times a Highlighter/Blush Duo, and so on) ever since. 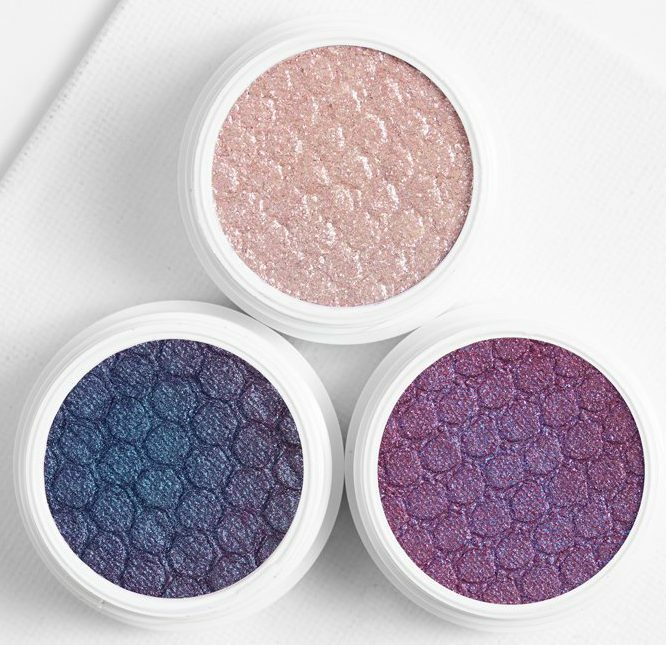 Also in my 3rd ColourPop post (here) and 6th ColourPop post (here) I complained about Super Shock Highlighters being more glitter-y as opposed to glow-y. 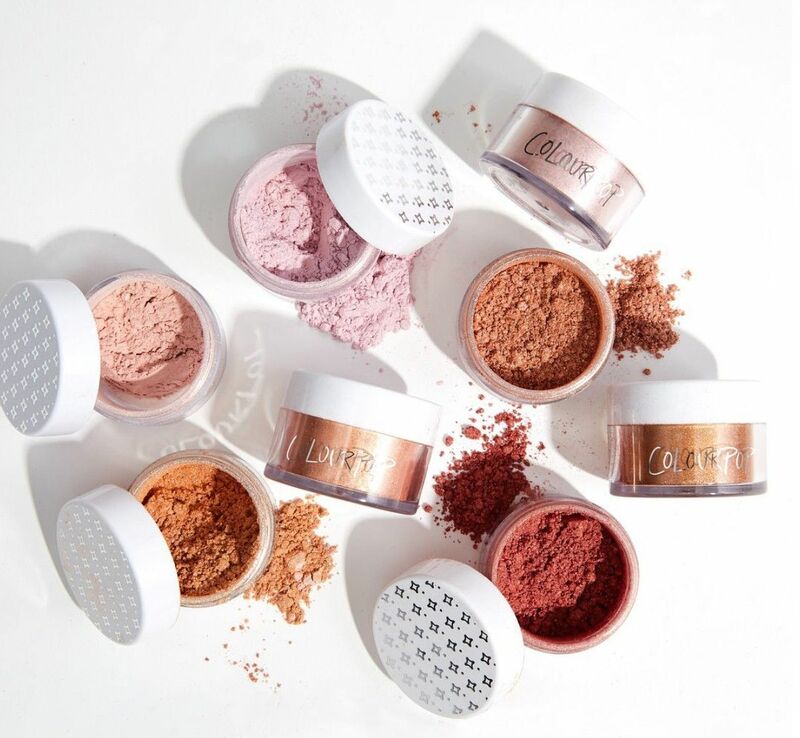 Out of nowhere, ColourPop came out with Luster Dust (Loose Powder Highlighters) that – according to reviews – are highly flattering and super glow-y! In my 4th ColourPop haul (here) I stated that based on my experience, the swatches up on the ColourPop website were not quite… accurate. 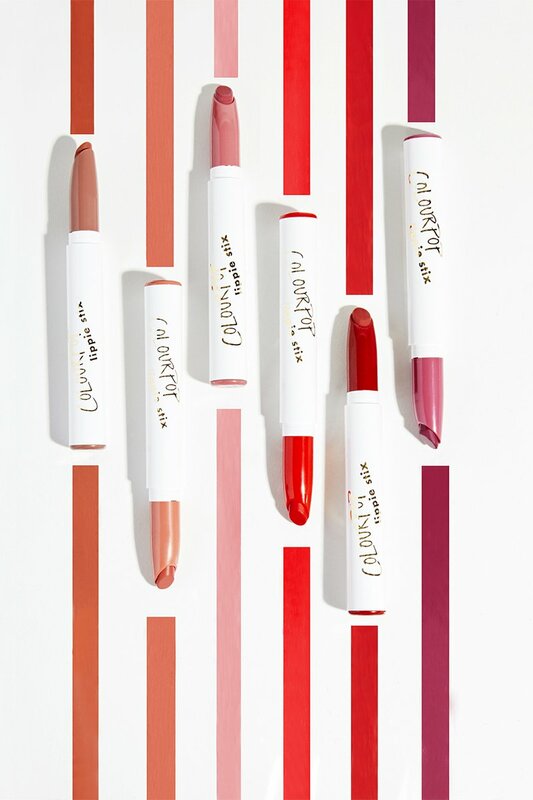 Shortly after, the swatches up on the ColourPop website were all updated. Everything looks much lighter now. Granted, that’s equally as inaccurate as the previous swatches (which were way too dark), but hey, beggars can’t be choosers. Also in my 5th ColourPop post (here), I lamented the fact that the $aucey Pressed Powder Shadow Palette (iluvsarahii collab which I suggested to ColourPop, probably along with many, many, many other people because the girl’s got skillz, yo!) 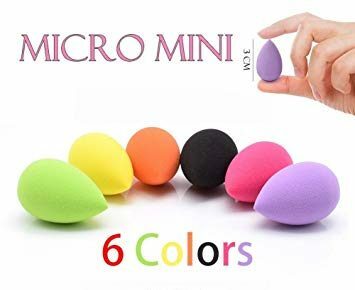 came with regular packaging (exactly the same as the regular empty pressed powder palette). ColourPop updated the packaging (to differentiate it from the regular empty palettes) shortly after! In my 6th ColourPop post (here), I admired the more duochrome-y Pressed Powder Shadows. 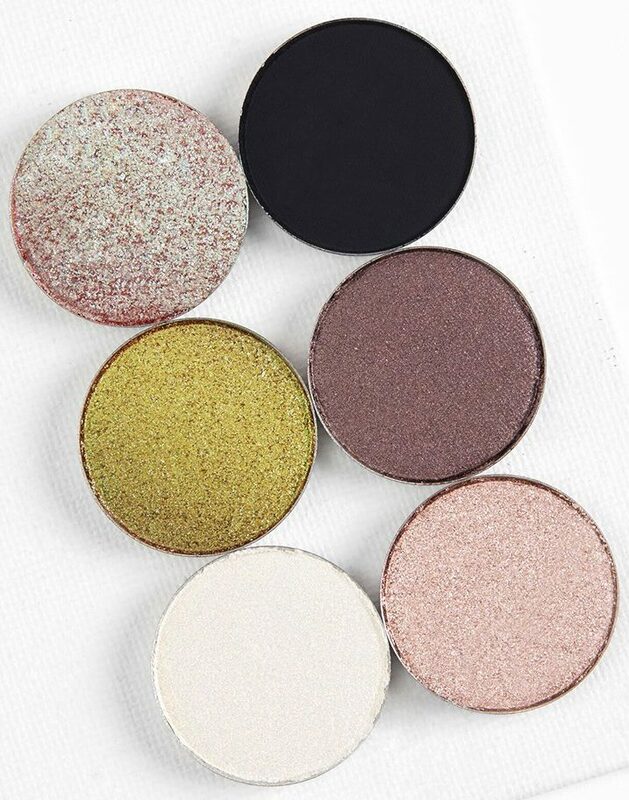 Shortly after, ColourPop released a whole bunch of new Pressed Powder Shadows, a lot of them being duochromes! In my 7th ColourPop here (here), I gushed about a specific glitter-y Ultra Glossy Lip and how it rekindled my affection for Lip Gloss in general. 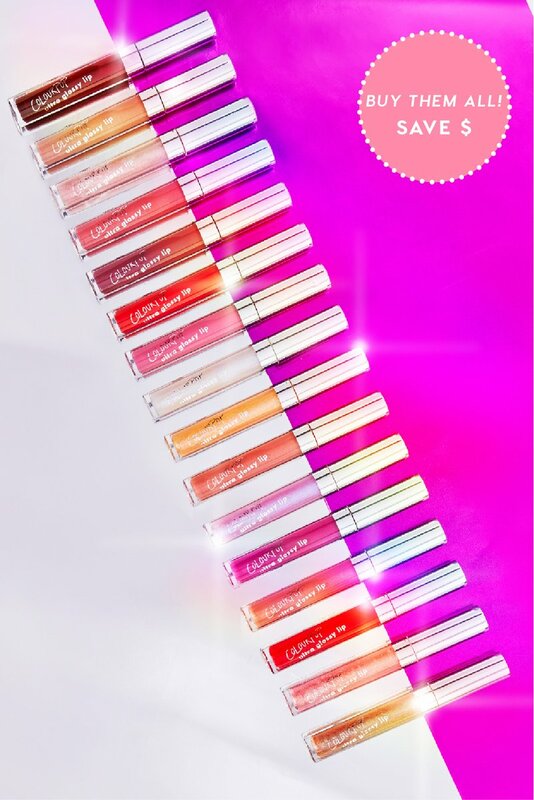 Recently, ColourPop just came out with an ENTIRE COLLECTION OF ULTRA GLOSSY LIPS (say it with me now, 16 all new shades)!!!! Also in my 7th ColourPop post (here) I was absolutely smitten with a certain magical Super Shock Shadow (Cherries Jubilee) and could not stop singing it praises! 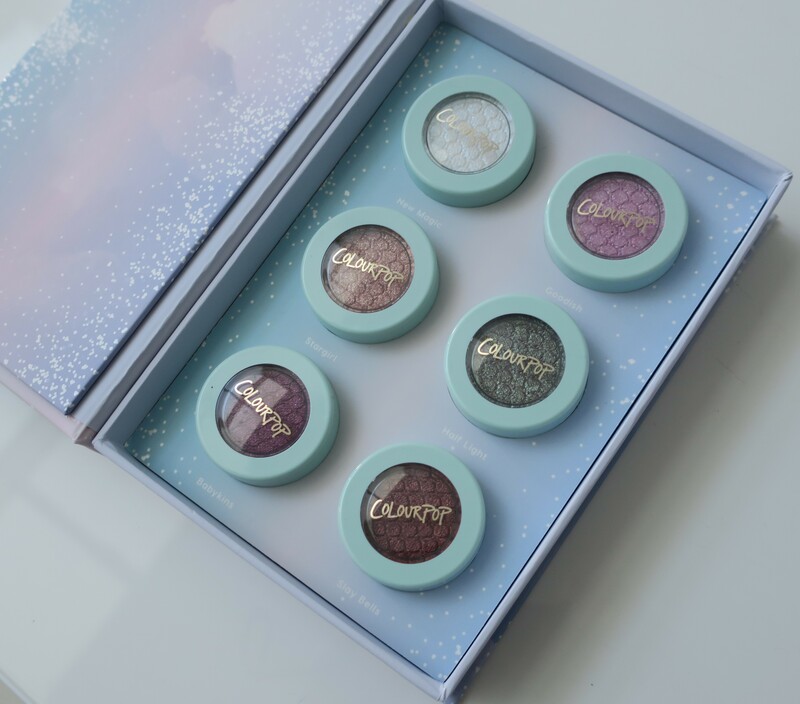 For their Holiday 2017 Collection, I was delighted to find that ColourPop had come out with several equally magical shades in one of the Super Shock Shadow Palettes! 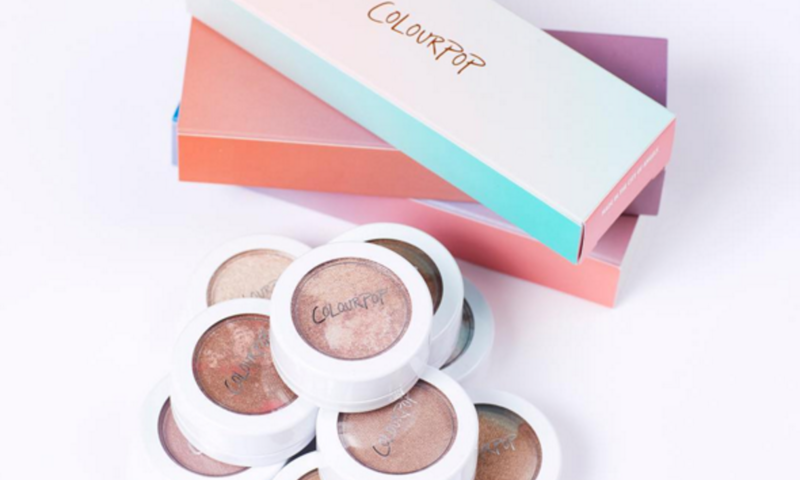 In my 8th ColourPop post (here) I wished that ColourPop would wrap my stuff in bubble-wrap. 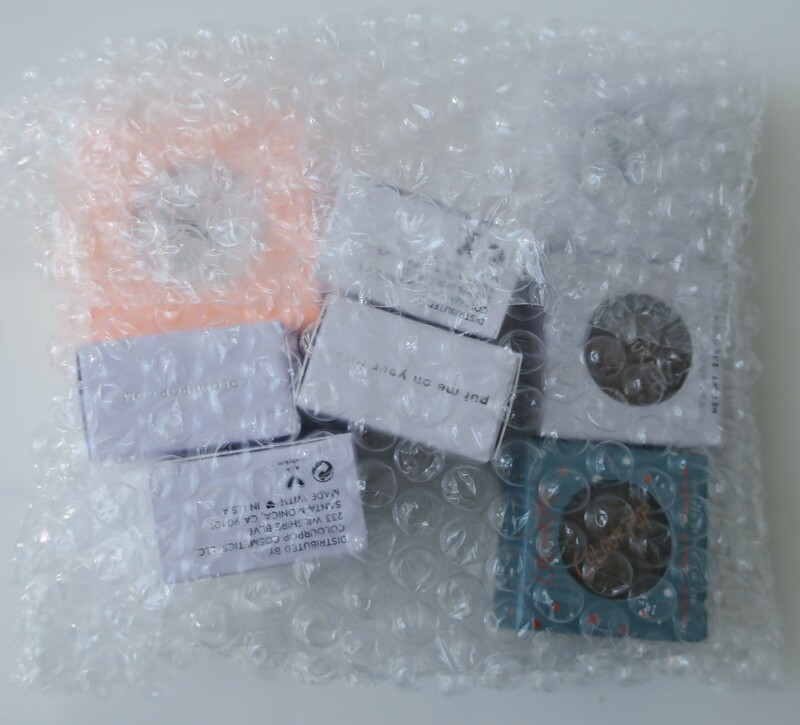 Sure enough, my next order arrived with the items I ordered safely packaged in bubble-wrap (for the first time, ever)! Coincidence? I would like to think not! … Just Kidding! I doubt the people over at ColourPop even know that I or my blog exist. However… to further test my theory (suspicions, rather), I’ll throw out a couple of suggestions (making them very, very specific). If ColourPop follows through, I’ll know for sure, either way. I’d like to see them come out with Mascara, so ColourPop can truly be my 1-stop-shop! However, not all Mascaras are created equally. As such, I’d love it if this Mascara had a Comb (as opposed to a Brush) a la Rimmel Comb Mascara (reviewed here). If not, then I’d prefer it if the Brush would be one of those curvy ones a la Maybelline Cat Eyes (reviewed here). Honestly, I’d be delighted if they came out with either one; Comb Mascara or Curvy Brush Mascara, because those two are incredibly flattering on hooded to semi-hooded eyes! With that being said, as long as they come out with a decent mascara, I’m gucci! An extremely fine, really slim, liquid eyeliner would be nice! Kinda like the L’Oreal Liquid Liner shown above. Something that’s pigmented and dark enough to show up as a deep, dark black over any of the more glittery or metallic-y Super Shock Shadows. 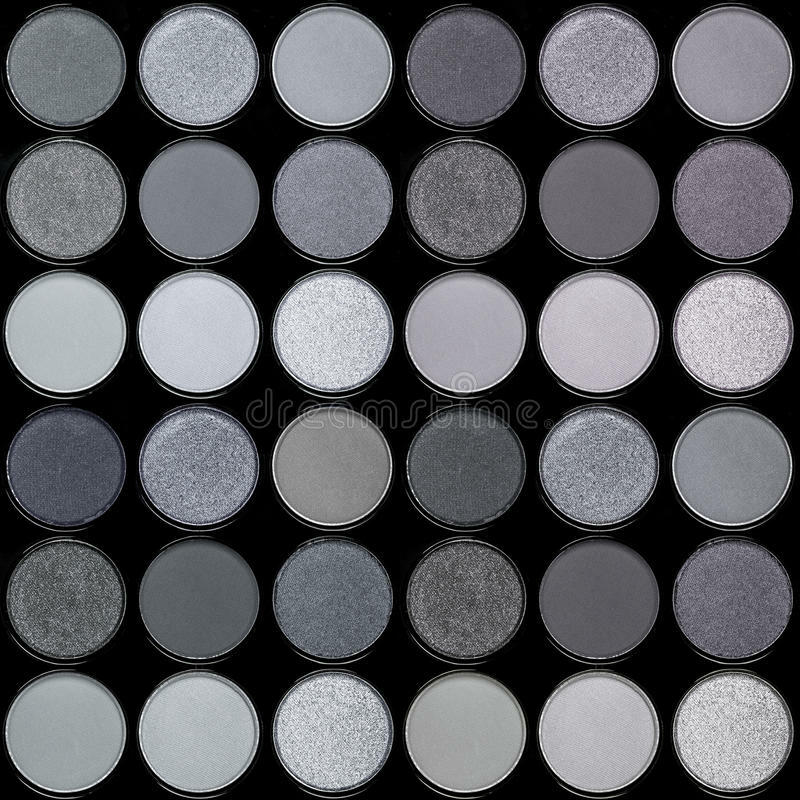 An actual cool-toned palette would be awesome, preferably one with lots of matte grays and shimmery taupes and maybe a douchrome-y lilac. No redun dant shades like black or white. Ideally, the darkest shade in the palette would be a matte blackened teal. 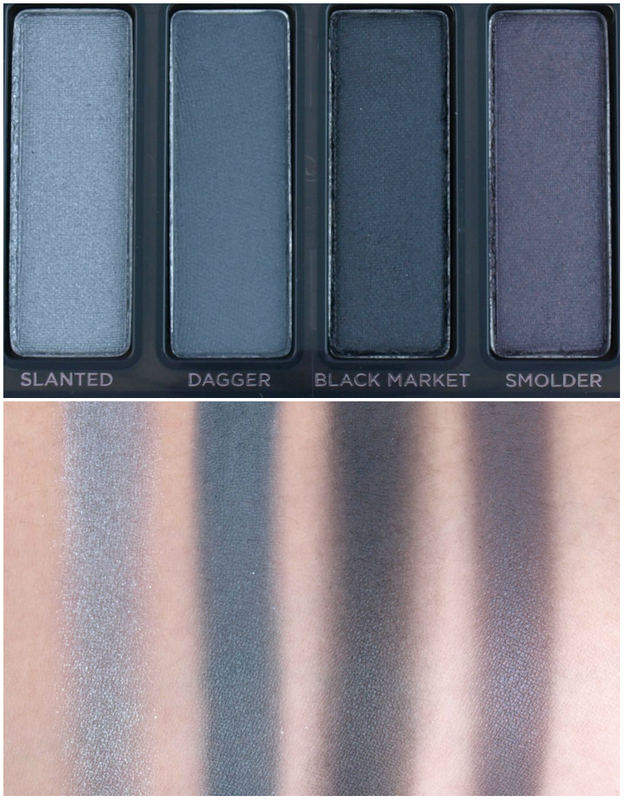 Basically, kinda’ like the swatches on the side, of the Urban Decay Smoky Palette. 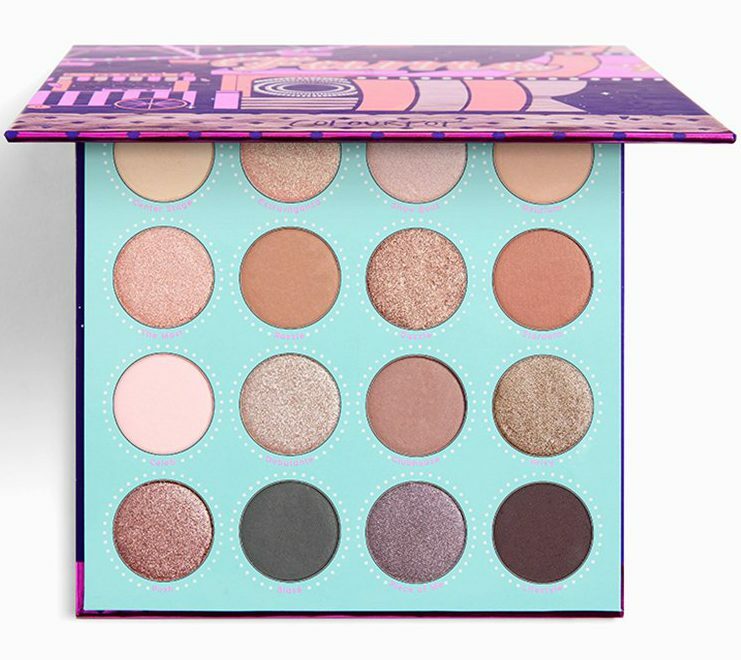 Also, since ColourPop are so fond of trolling us with the names and descriptions of their shades, they could even call the cool-toned palette something like “Pink Sands” (‘cuz the palette would be cool-toned and wouldn’t have a single pink or warm shade). Some matte bronzing shades (no shimmer, no glitter, no warm tones) would be awesome! 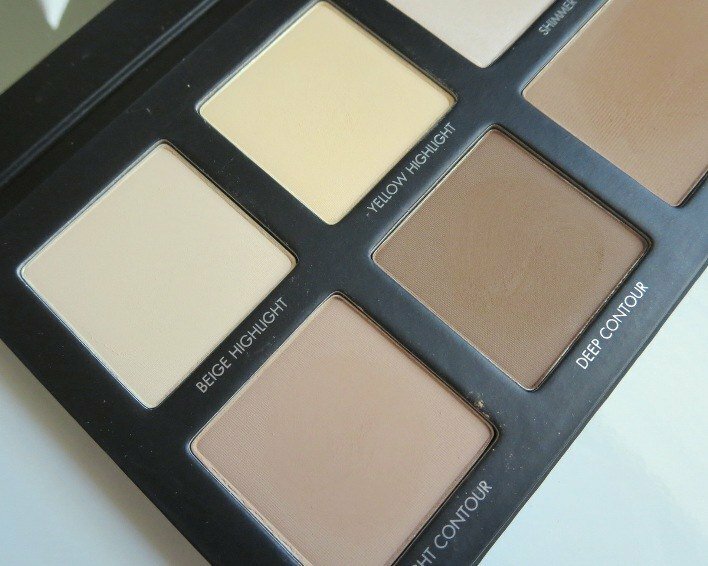 Heck, might as well go all out and come out with a Contouring Palette (go big or go home)! If not, a single Super Shock Cheek (for bronzing) without any shimmers (totally matte) in a non-orange shade would be great! 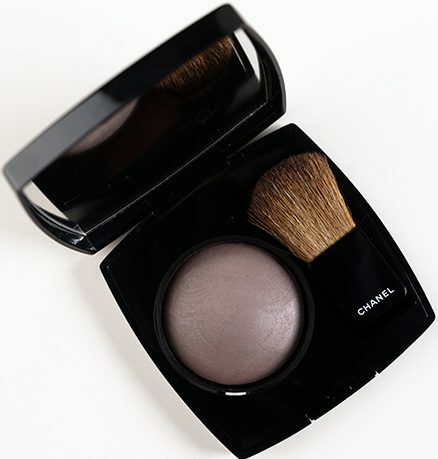 Chanel Ombre Contrast – Sculpting Veil for Eyes and Cheeks in the shade Notorious (which is described as a mauve taupe) was released as a limited edition back in 2012. Chanel never ever re-released it (as far as I know). I’ve been on the hunt for a dupe ever since. 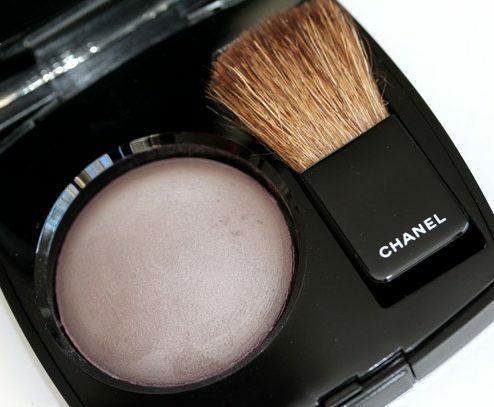 If ColourPop were to come out with a Super Shock Cheek and a Pressed Powder Cheek in the same gorgeous taupe-y shade as Chanel Notorious, I’d be ever so grateful! In a perfect world, it would have a matte finish (for contouring) and not have any super chunky silver glitters. Hey, since I’m throwing it out there, might as well be very, very specific, right? They could call it “Cloud Control” (y’know, crowd control, cloud control, geddit?) but if they wanted to be more literal, they’d call it “Divine” (because that shade is simply, divine)! I missed out on the MAC 182 Buffer Brush (Limited Edition), which was effectively a small Kabuki Brush with a square base. Aside from being quite practical… don’t they just look stupid cute? So, ColourPop, whaddaya say, huh? Come out with your own version? For me? Pretty please? You guys can call it The LuLu Brush, I don’t mind. No, really, I don’t. It’s totally fine. Go for it! Scents and Flavors would be a welcome addition! 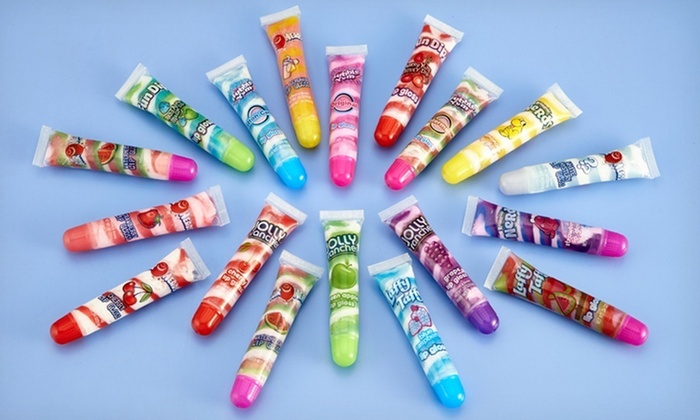 Bath & Body Works make a whole bunch of glosses that are both flavored and scented, and I’m very partial to those (luv ’em)! Maybe nothing permanent (because production can be a hassle), but a small limited edition collection? Maybe for Spring 2019? Just throwing it out there. 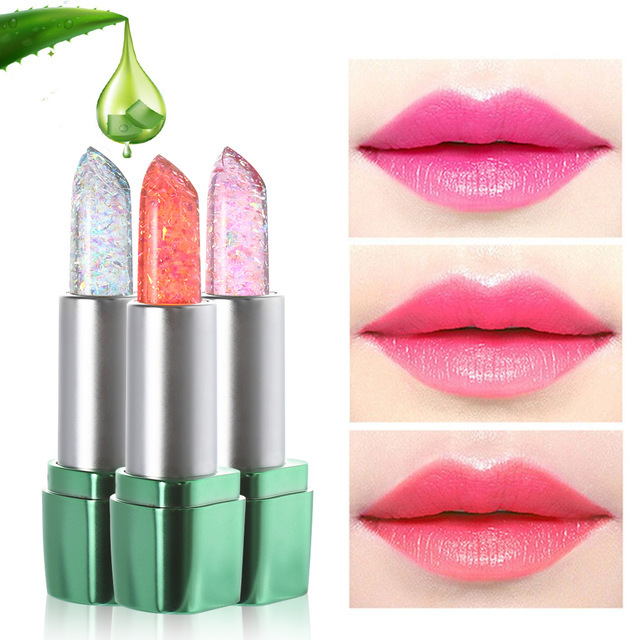 Oh and definitely one of those clear Lip Tints that goes on clear but reacts with the pH of your skin or temperature or whatever and turns into a Pink on the lips! I’d love to see more shades of Lippie Stix! Those things are bomb! They go on like a dream! They don’t dry out your lips! You can wear them over each other, to mix and match your own custom shade. Best of all, they’re so easy to remove (when you want them gone, they’re gone, and never overstay there welcome unlike those who shall not be named)! I demand mwoar! 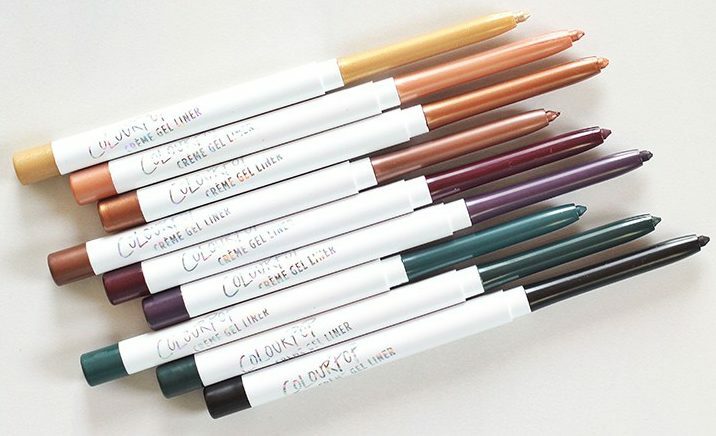 This is just my personal opinion but ColourPop should either update the packaging on the Crème Gel Liners or just do away with them all-together, because the current packaging is horrible! More comprehensive swatches would be much appreciated as well! I mean… people from all over the world order from ColourPop. So maybe include some swatches on either Arabic or Hispanic or Indian skintones. Mediterranean, at the very least. Something for the olive-skinned people, basically. On the Order Details page, in the past, if you clicked on each item on your Order List, it would take you to the page of that specific item (so could re-order it or whatever). Now, you have to actually type in the name of each item in the search bar or sift through the all the other shades in the line, to find what your’re looking for (which is a bit of a faff really) so I wish they’d just have the items on the Order Details page linked to the products… again (like they did in the past, before revamping the website). Lastly, how about the next Collab/Collection have something to do with Anime? 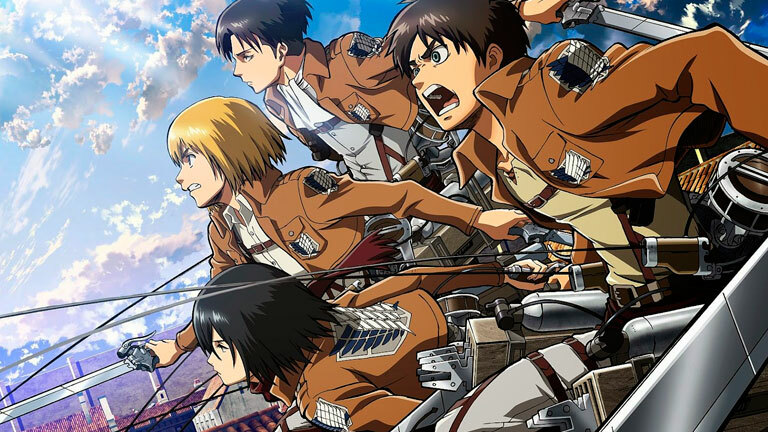 The picture shown above is from Attack on Titan but I’m not picky (LAWL) so any other Anime would be awesome! Heck, even a Video Game like one of the many JRPGs (*cough* Final Fantasy *cough*) or maybe a FPS like Call of Duty (OMG! A Collection revolving around the Zombie-Mode in Call of Duty: Black Ops… for Halloween!). Heck, I wouldn’t even say no to a Fortnite (eww Fortnite) or PUBG Collection. Do it for the fans! Sleep on it. Then, get back to me. I think that’s pretty much it for demands suggestions off the top of my head.